It may have been a cold day, but the warmth of Becky and Terry's love kept things cozy. 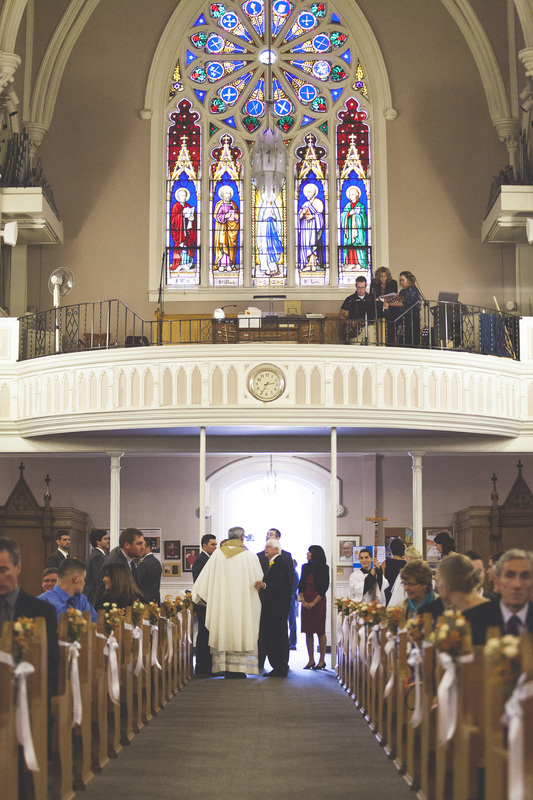 Their classic wedding ceremony at Brantford's St. Basil Parish was followed by a dance party for the ages at the Hellenic Centre, which had their guests working up a sweat despite the cool temperatures! The groom is all smiles.